Posted on June 20, 2018 at 12:55 pm. North Carolina’s Capitol Broadcasting Company is betting on transformational redevelopment of a historic mill site to revive a region. 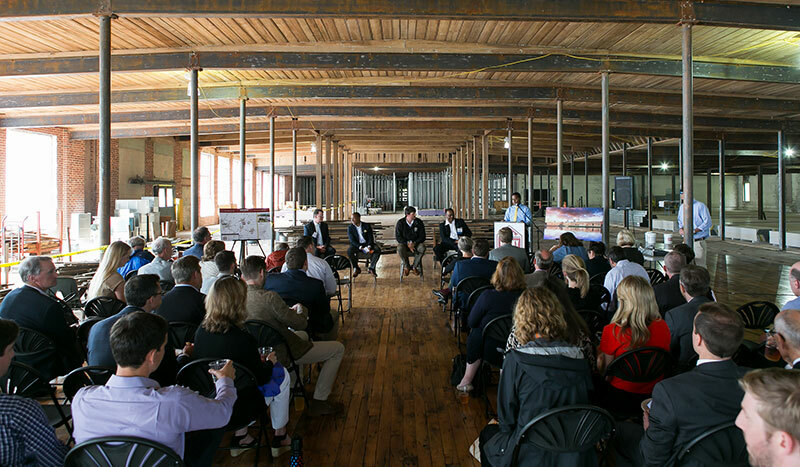 At a ULI Triangle event, representatives of the Raleigh-based media company described the firm’s plans to redevelop a historic cotton mill, turning it into a destination for millennials, attracting business and industry, and ultimately shifting the fortunes of the eastern North Carolina town of Rocky Mount. The plans are ambitious: by 2019, the redeveloped Rocky Mount Mills is to hold 125,000 square feet (11,600 sq m) of office space, 75,000 square feet (7,000 sq m) of loft apartments, plus retail, event, and conference space. The broader campus—covering 150 acres (61 ha)—will also include almost 70 restored mill houses for rent, three restaurants, six breweries, and a “tiny homes” motel.